There is one spot open on the Boston Bruins roster that is grabbing the attention of three possible candidates hoping to see their name on the roster opening night. Centermen Jakub Forsbacka-Karlsson, Jack Studnicka, and Ryan Fitzgerald went into this year’s Prospect Challenge in Buffalo with the mentality to grab the coaching staff’s attention and possibly fill that third-line hole for the 2018-2019 season. When asked what his mindset is throughout the competition, Studnicka said he wants to be the guy that wins that job and make the decision hard for management there to send him back. The 19-year-old made his case strong, as in game one he scored a highlight-reel goal to help lift the Bruins over the Pittsburgh Penguins 4-2. Aside from the three-way race for third line center, the Prospect Challenge brought about new light for some other players. Ryan Donato, who recently announced he will not be taking classes at Harvard this season, showed that he has the potential to be a lethal shooter. He scored in game one, but throughout the tournament, he had many opportunities. Donato loves to shoot the puck, and if he can continue to have the confidence he presented this past weekend in the NHL, the 22-year-old could potentially become a scoring threat for the Bruins. In game two, fans were able to stream and watch as the Bruins took on the Buffalo Sabres in what was a sold out game thanks to Sabres’ first-round-pick Rasmus Dahlin. Goaltender Dan Vladar stood high on his head the entire game with 38 saves as the Bruins won 3-1. 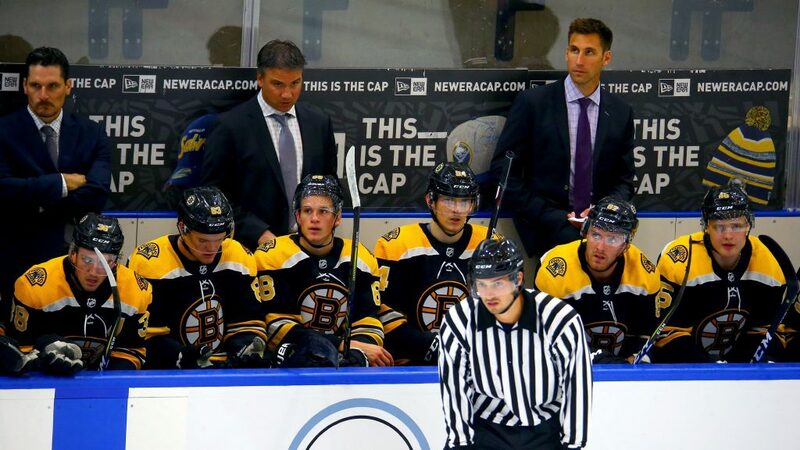 Game three was a different story, as the Bruins only dressed 11 forwards. Because of that, defenseman Connor Clifton took some shifts as fourth-line right wing. Clifton was one of the goalscorers for the Bruins on Monday as they fell to the New Jersey Devils 6-2. USHL invite Marek Valach was the other goalscorer for the Bruins. Ultimately, the Bruins went 2-1 at this year’s Prospect Challenge which showed great hopes for the future of the Bruins organization. Some of the players who participated will be traveling to China to play in hopes to get a final shot at making the roster for Oct. 3.